NGC 4565: The Flying Saucer Galaxy. This is a quite bright galaxy in the constellation of Coma Berenices. It is an edge-on spiral 100,000 light years in diameter and 30 million light years away. The milky way would look very much like this from a distant extragalactic viewpoint. 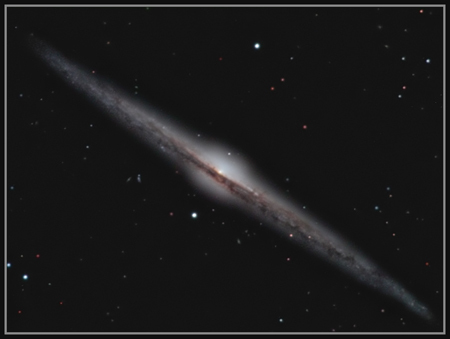 I first imaged this wonderful galaxy with my DSI pro in 2007 and was pretty pleased with the results. When I got my Atik camera I had to have another go! 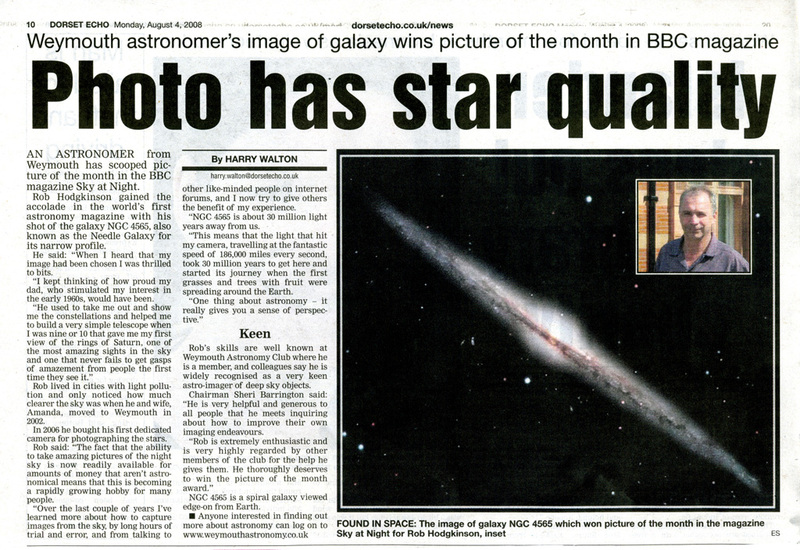 This image was awarded 'picture of the month' by the BBC's 'Sky at Night' magazine in August 2008, and the Dorset Echo also featured it. Telescope. 14 inch LX200GPS at F6.3. This is 4 hrs 45 minutes of data from a run of 5 hrs 48 minutes taken on the 1st, 2nd and 7th of April 2007. All exposures are 3 minutes, RG & B binned 2x2.